This Ritani engagement mounting will capture attention and start conversations! Your round brilliant center stone, held by four prongs, will be complemented by a band of round side stones. The piece is available in white gold, yellow gold, rose gold and platinum finishes. 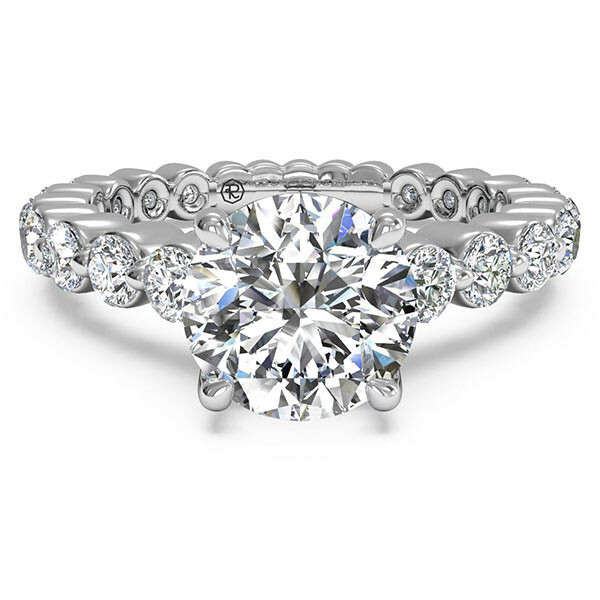 The engagement setting from Ritani will inspire admiration from all who see it!